Since January 13 through January 16, 2004, Hokkaido had been suffered from heavy snow, and some towns in the coast of the Okhotskoe in particular had the heaviest snow in these thirty years. 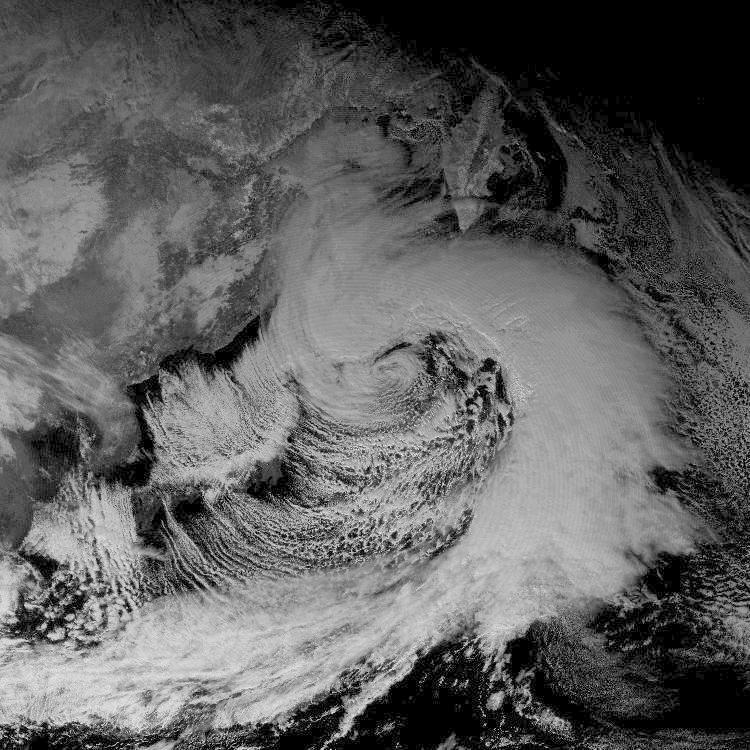 Images in the following illustrate the cloud pattern of a well-developed extratropical cyclone. The creation of the image is as same as that of typhoon images. The image above is the same size of the typhoon image (2600km in width), while the image below covers two times wider area (5200km in width). 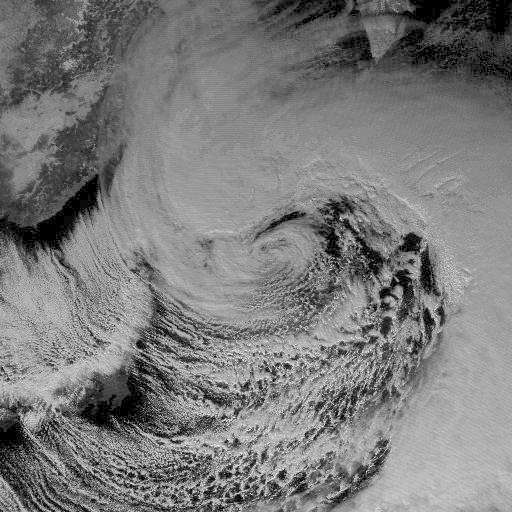 In comparison with a typhoon, which is an image of the strongest typhoon in 2003 (Typhoon Maemi), it is apparent that an extratropical cyclone is a meteorological phenomenon with far greater scale than a typhoon (tropical cyclone). An image as large as below can capture the whole structure of the cloud pattern. 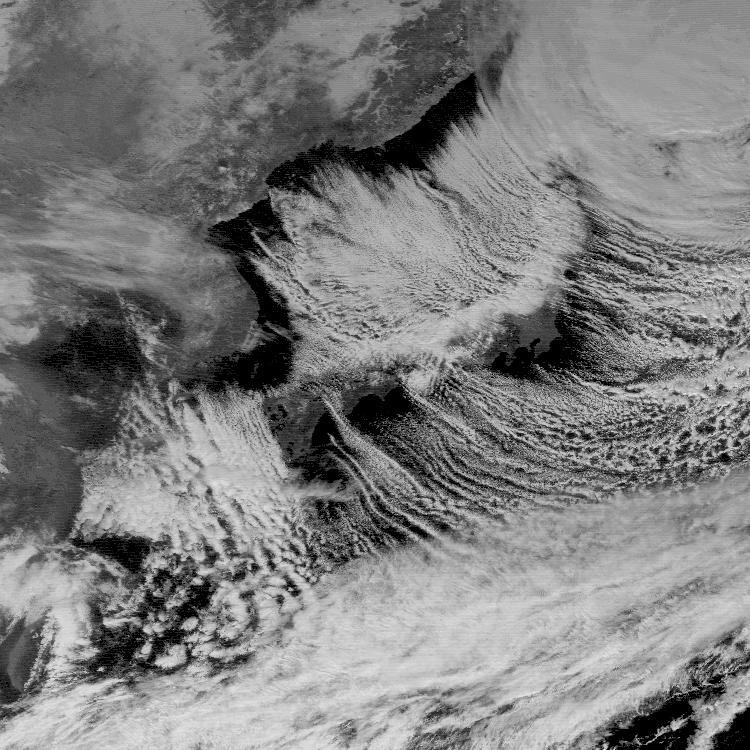 The following images illustrate so-called streaking clouds over the Sea of Japan which are caused by the flow of cold air from Siberia. 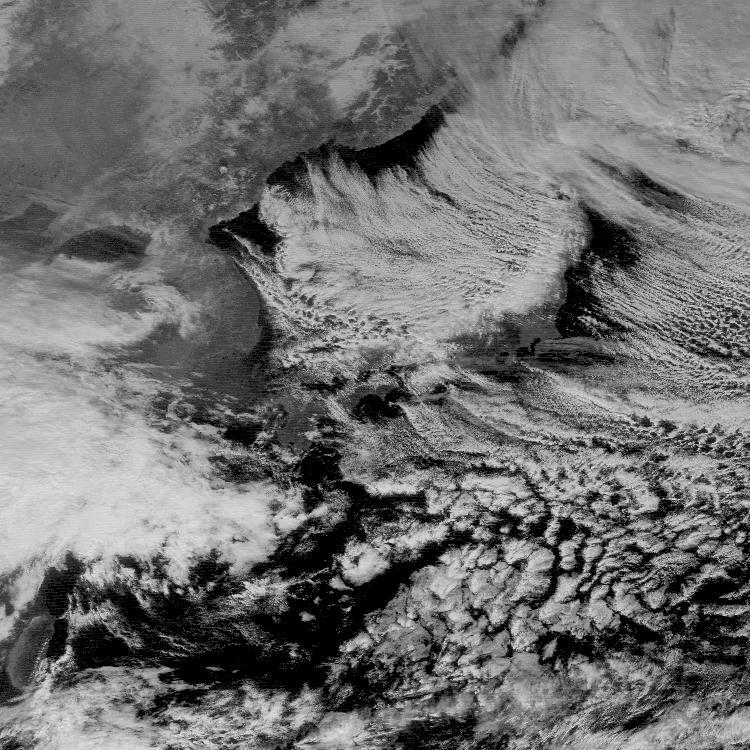 Hokkaido, in particular is all covered with thick clouds, indicating heavy snow under the clouds.